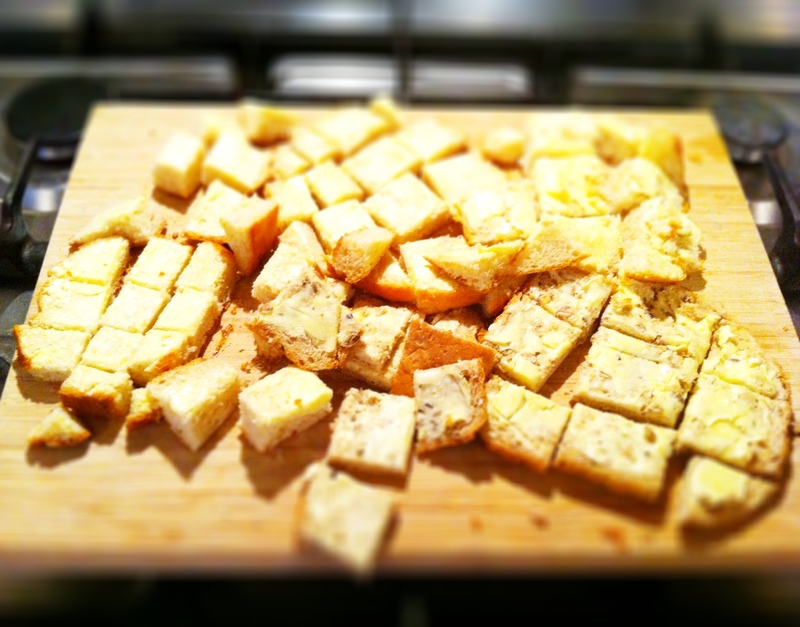 Cut your butter bread into chunks and toss them into a baking dish. 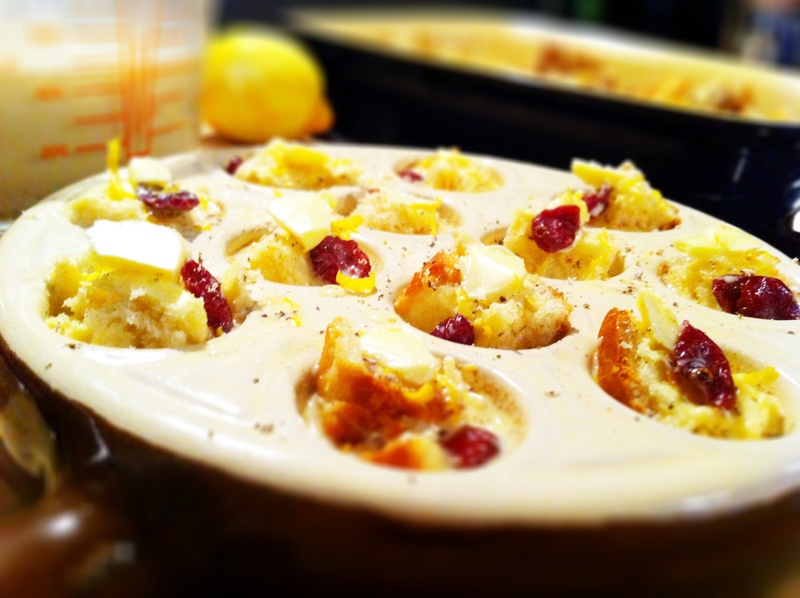 Scatter your grated lemon zest and dried cranberries over your bread. In a mixing jug, beat your eggs, cream, sugar, vanilla extract and ground cinnamon until combined. Pour your mixture over the bread. 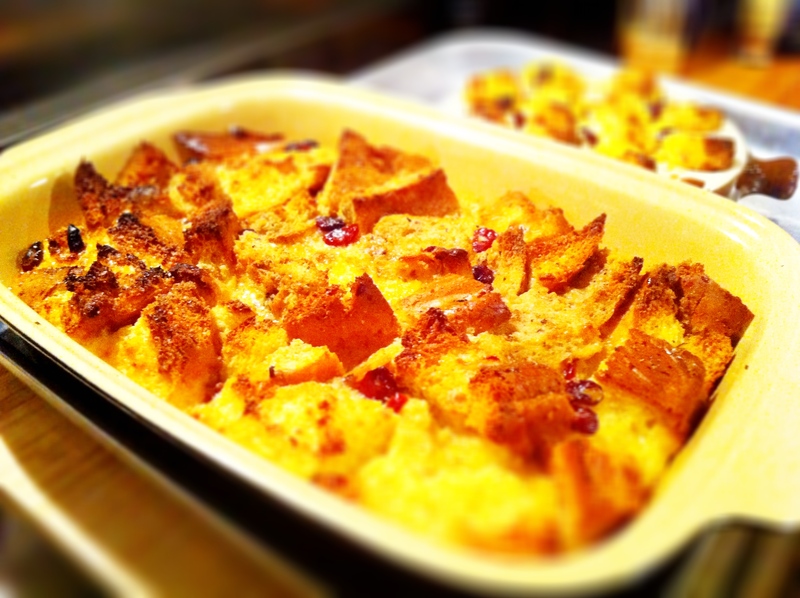 Grate nutmeg over the bread and finish by dabbing a few small bits of butter over the pudding with a sprinkling of brown sugar over the top. Pop this into the oven and bake for 30 minutes. 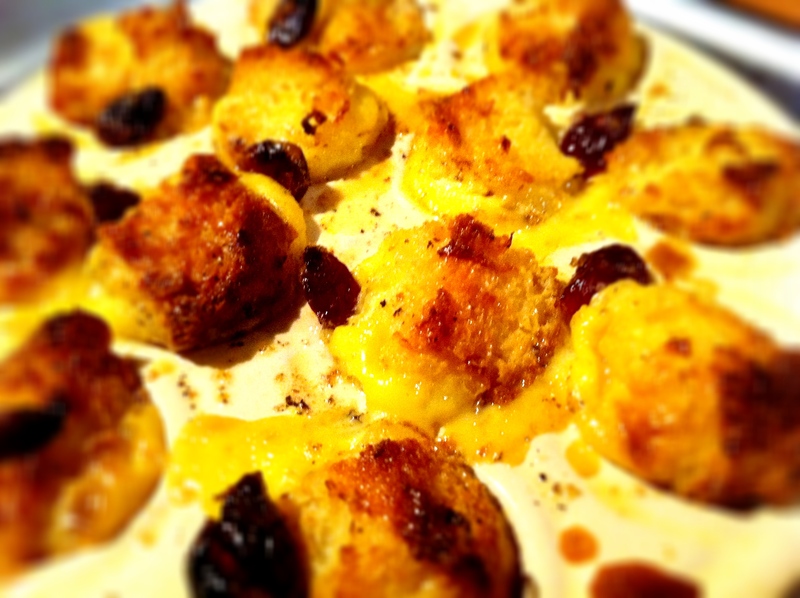 Serve it piping hot with some brandy butter (if you have some left over) or some clotted cream. In a mixing bowl, dissolve the yeast in the warm water and milk. Then add the shortening, eggs, sugar, salt and flour. 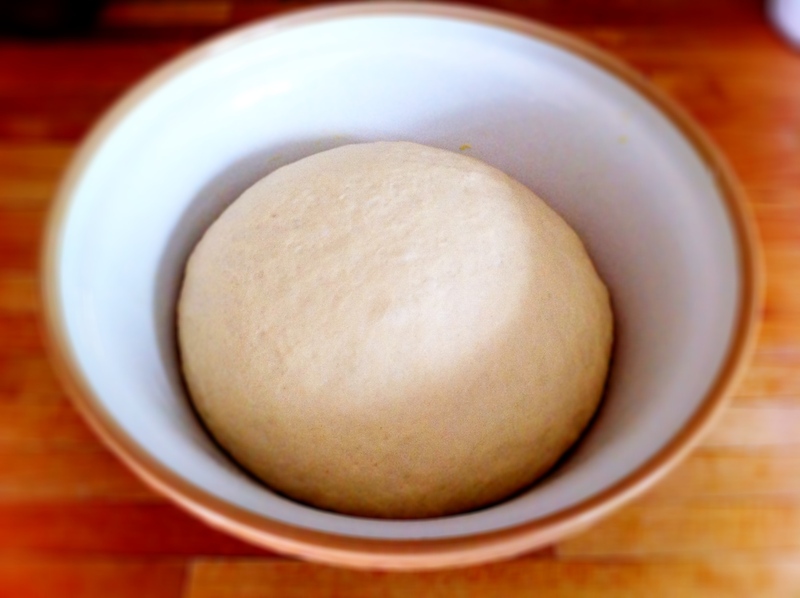 Mix until you form a soft, sticky dough. I transferred the dough to my stand mixer and using the dough hook, mixed the dough for about 6-8 minutes – the dough stays really quite sticky. I then turned it out into an oiled bowl, covered the dough and left it to rest in a warm place for an hour, which allows the dough to double in size. After an hour, punch the dough and turn it out onto a lightly floured surface. Divide it into the number of baps you’d like to make, cover the rolls with a damp cloth and allow it to rise again, about another half an hour. Meantime, preheat the oven to 180 degrees (Celsius) and bake in the oven for about 20-25 minutes or until golden brown.